JOCKE SODERQUIST LP PERMA BLUE 1°ST ORIG SWEDEN 1988 EX !!! 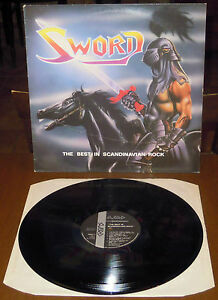 Dettagli su LP SWORD THE BEST IN SCANDINAVIAN ROCK (Sword 85 SWEDEN) metal Torch RARE EX! LP SWORD THE BEST IN SCANDINAVIAN ROCK (Sword 85 SWEDEN) metal Torch RARE EX! JULIE DRISCOLL BRIAN AUGER LP BEST ORIG AUSTRALIA EX LAMINATED COVER !!!!!!!!!! BILLY COBHAM LP BEST OF 1°ST ORIG ITALY 1976 NM ! COME NUOVO !!!! !